Finding your usual squash recipes unappetizing and unappealing? With a good squash harvest, it’s easy to find yourself having too much of this vegetable. Don’t fall out of love with this humble veggie, but try any of these tasty and healthy squash recipes and renew your love for squash! Squash and pumpkins are some of the easiest vegetables to grow, and I sure did have much fun growing them this summer. Now, after harvest, my only thought is, “Whatever will I do with all this squash”? While I love squash, the same cannot be said for the rest of my family. So, I have to do magic to these squash for all the family to enjoy. Luckily, I’ve got these squash recipes and ideas which I’m sure you’ll love to try your own harvest on. Check out these squash recipes now and get cooking. Make the most important meal of the day more appetizing with this wild sage-seasoned butternut squash quiche. Sweet and nutty butternut squash will definitely be extra savory with wild sage. Try this recipe to experience it. It’s a great thing kale can overwinter and butternut squash is long-storing, so you can try this recipe with your own harvest even in winter. This kale, butternut squash, and poached egg dinner recipe will make your whole family fall in love with a simple farm-to-table meal. Spinach and mushrooms are in season around fall through early winter, and with long-storing butternut squash, you’re in for a healthy treat even in the dead of winter. Pull out this recipe and warm your family with this healthy and hearty butternut squash dish. A simple side dish recipe you can make in minutes with only three ingredients. Slice your squash, lay them all out in a baking pan, sprinkle with cheese and seasoning, then pop in the oven, and voila! You’ve got yourself a healthy and tasty but easy-to-make side dish perfect for chicken and other main courses. Craving for something meatless, but still savory and tasty? 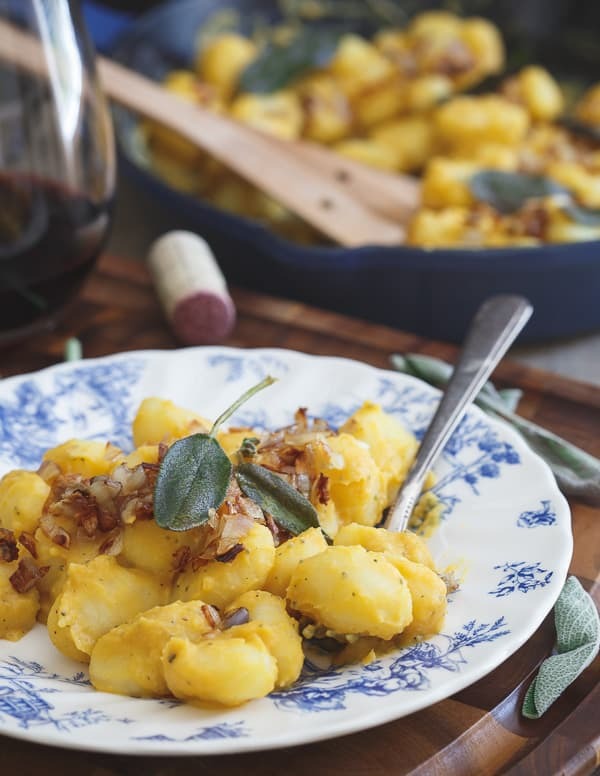 Then make this creamy sage butternut white bean gnocchi! It’s seasoned with sage, a self-indulgent vegetarian dish with a healthy punch. If you haven’t tried spaghetti squash before, try this squash recipe and you’ll love it–you’ll grow it in your garden. Trust me, because I started a love affair with this amazing veggie which I now have every year in my garden and in my pantry. Make room for one more special squash recipe to add to your holiday feast menu. You won’t go wrong with this Southern beloved that’s sure a crowd-pleaser. A rich creamy squash casserole topped with buttery and nutty crackers is a sure hit. Ever had a chicken pot pie with winter squash? 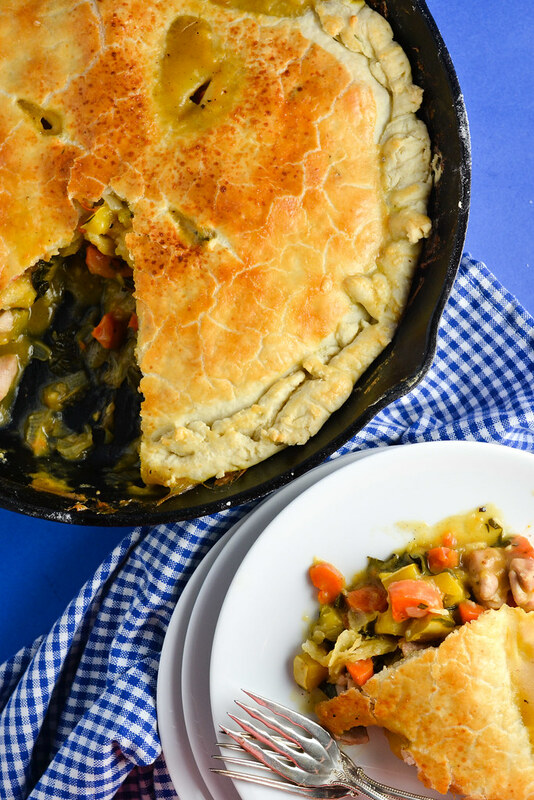 I’m sure like me, you’ll love this skillet chicken pot pie with winter squash and kale. This is just one of the many ways I prepare winter squash and kale for my family. It’s a winter staple in my homestead. This vegan butternut squash mac and cheese recipe is making me think about going vegan. Ooey, gooey, and absolutely creamy meatless dish to snuggle up with, plus the squash seeds on top–it’s just divine. It doesn’t have to be summer to enjoy this raw summer salad. Check out this summer salad with zucchini and squash. It’s a refreshing salad showcasing your fresh produce. Have it as a side dish or as your brunch salad. Want a protein-rich yet filling meal for everyone in the family to enjoy? 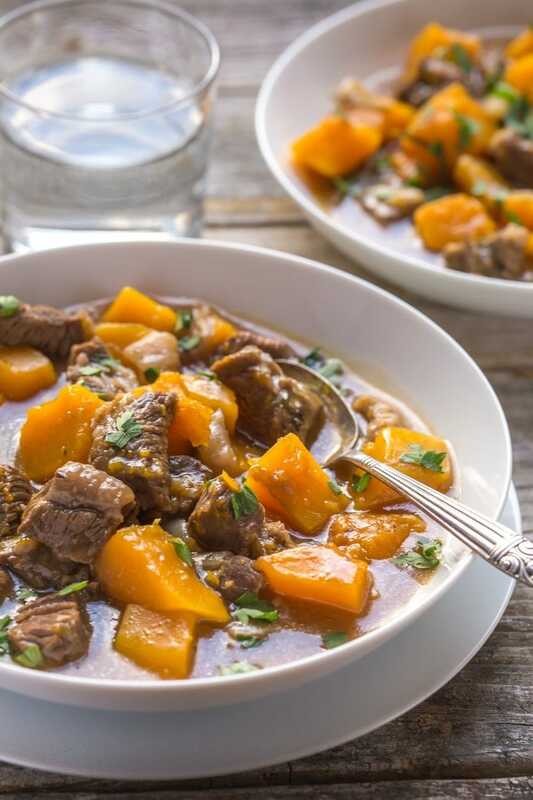 This deliciously healthy beef and butternut squash stew have a hearty flavor you’ll surely enjoy. I’m sure anyone will appreciate not having to wash multiple pots and pans for one dish. A must try squash recipe one of these days since it can be made with any kind of greens, meat, and melty cheese. Make it mini or make a bigger version, it’s up to you to have fun with this mini delicata squash frittata. It adds some flavorful appeal to your breakfast or lunch buffet. Attention Paleo junkies, because this Paleo “ravioli” made with fresh yellow squash will give you something new and exciting to try. It doesn’t get any more Paleo and exciting than this, so help yourself to it now. A Southern delicacy that will just melt in your mouth with the buttery and delightful flavor of squash. This one should be a quick and easy recipe to try first with your fresh squash harvest. Want something more than hash browns or potato pancakes? Then this squash recipe is just the thing you need to bring your meal to the next level. All savory and greasy, but mind you, the healthy kind of grease you’ll love. Here’s a lasagna recipe vegans will cheer for. 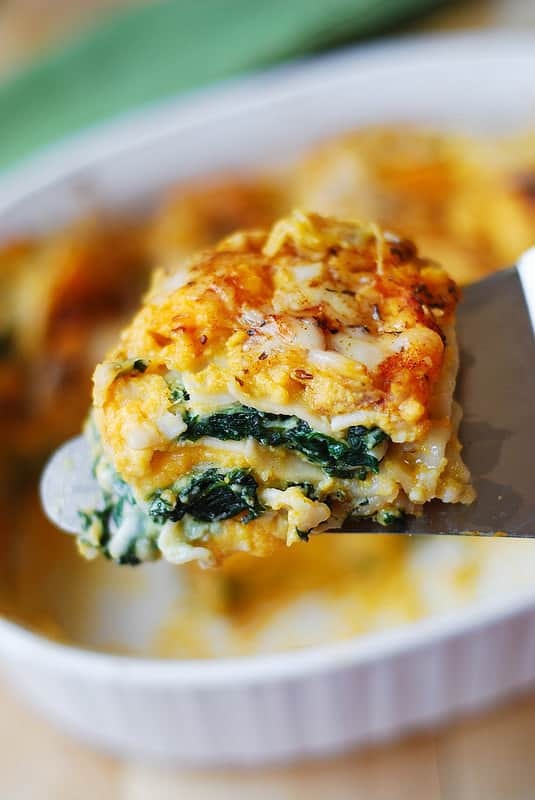 The pureed butternut squash, cheeses, spinach, and other mouth-watering ingredients give lasagna a whole new flavor and color, making it the ultimate fall and winter comfort food. An easy recipe even beginner cooks can make. These squash croquettes are well-known in my homestead. Its crispiness and golden brown color add some fun to our simple dinner of roast chicken and salad. 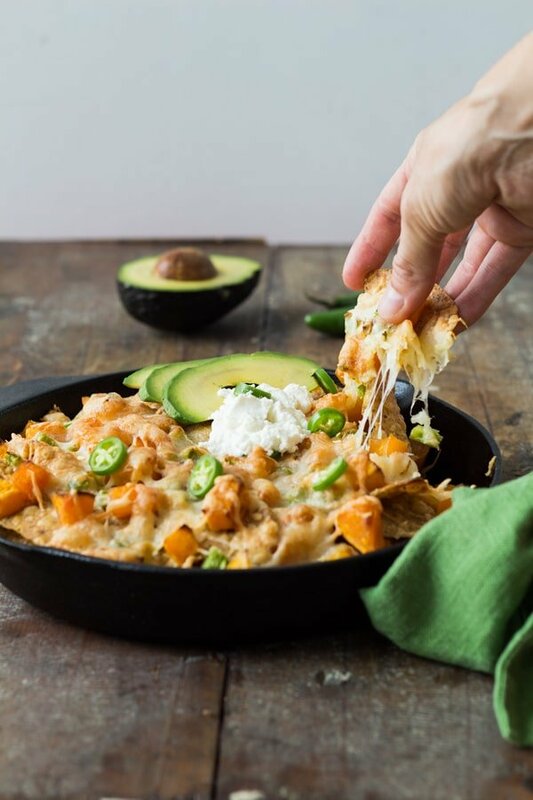 If butternut squash is a hard sell in your family, then try these butternut squash nachos. It’s the healthier version of nachos I’m sure anyone will want to have all year round. Craving for a snack but want to save on the calories? Well, these amazingly savory garlic parmesan yellow squash chips will solve your problem. You’ll find yourself wanting for more of this crunchy on the outside but soft and creamy in the inside snack. Squash biscuits? Yes, please! With crisp yellow color and delicious aroma, these enticing yellow squash cheddar biscuits will become the most requested snack for your kiddos. 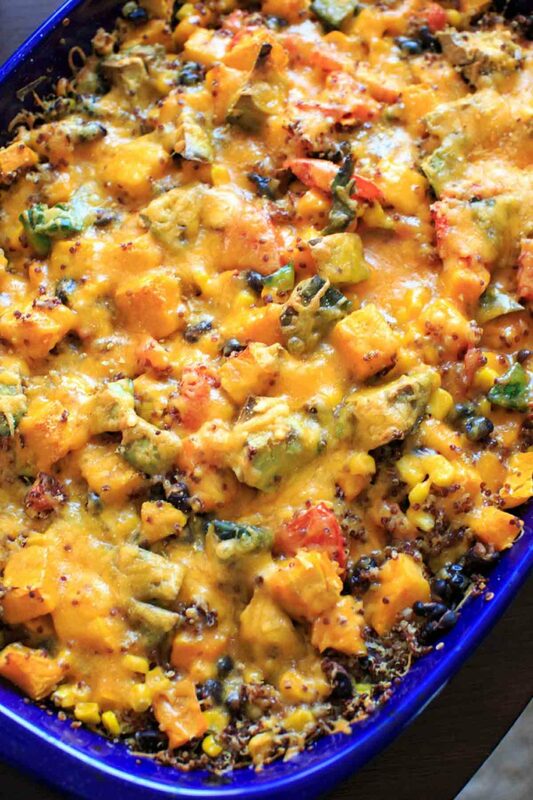 If you want a gluten-free and vegan-friendly squash recipe, this butternut squash quinoa casserole is the one. You can get as many helpings as you want, ’cause it’s packed with nutrition without the calories. Fill your home with the aroma of squash baking in your oven. You can take this yummy pie to a potluck or party but be prepared to share the recipe, I know your friends will be asking. 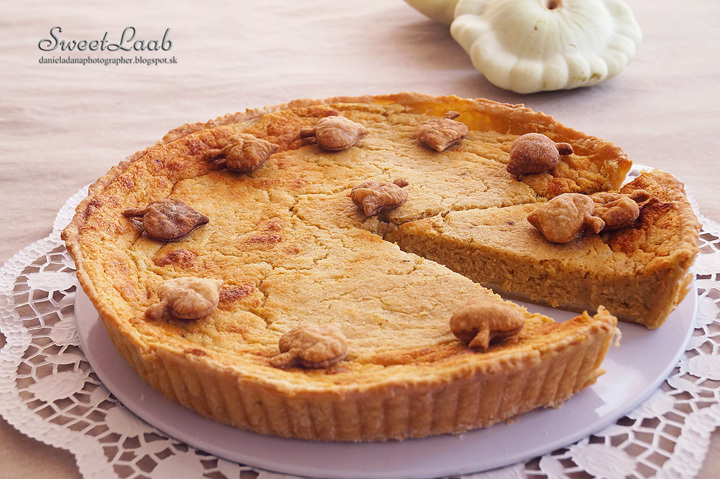 A flavorful alternative to a traditional pumpkin pie, it bakes up moist and flavorful. Add spice to your roasted butternut squash with a bit of cinnamon in this roasted butternut squash recipe. It’s a complimentary side dish to any holiday feast menu. This squash recipe is so simple, all you need are the veggies and seasonings. 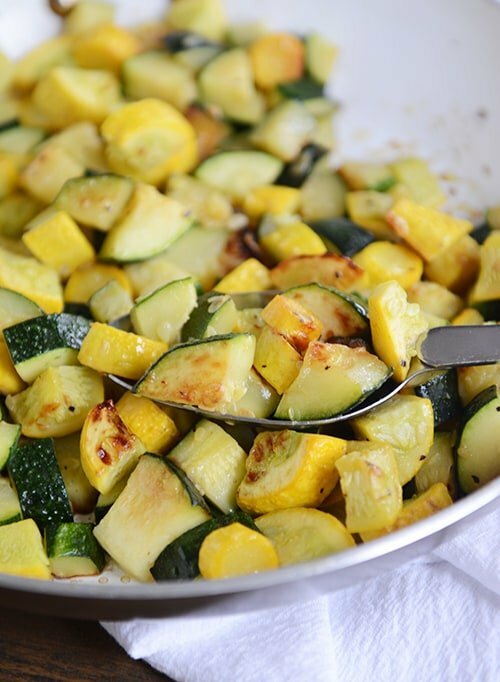 Make sure you use only the freshest to enjoy sweet and nutty squash and zucchini caramelized in healthy olive oil. You’ve got another amazing way to enjoy your comfort food healthily. 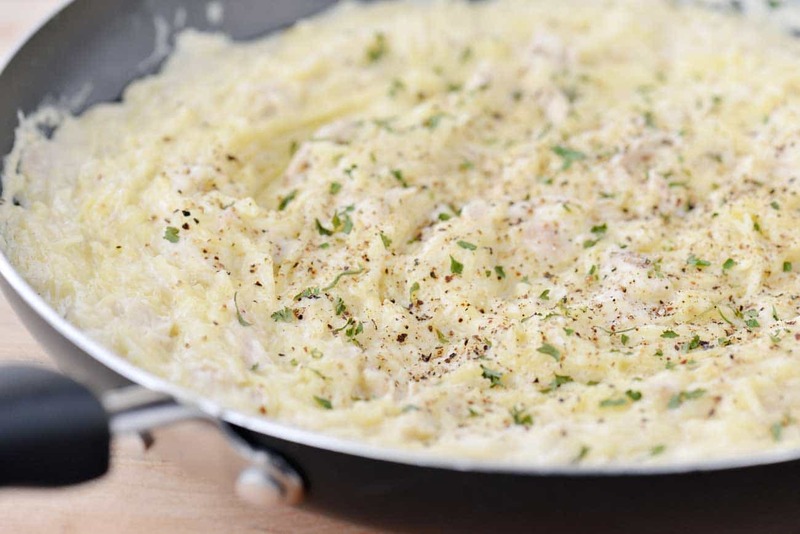 This chicken alfredo spaghetti squash recipe will allow you another helping or two without too much fat. Are you a Tex-Mex food junkie but prefer it light? 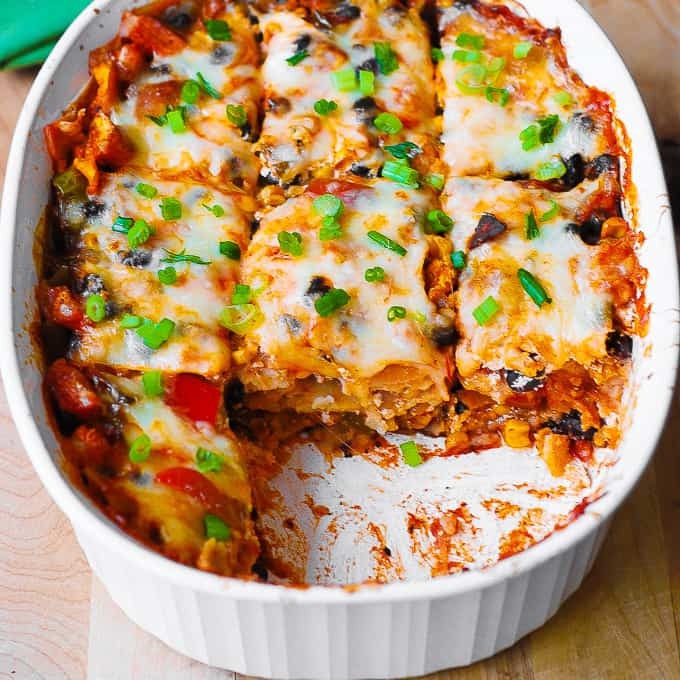 You’ll drool over this black bean and butternut squash enchilada casserole you can crave for guilt-free! I’ve made watermelon salad bowls over the summer, but I am yet to try this buffalo chicken spaghetti squash boats and I’m excited already. I’m thinking, this should be a great addition to my healthy Thanksgiving menu. It’s amazing what garlic and Parmesan can do to your everyday veggies. 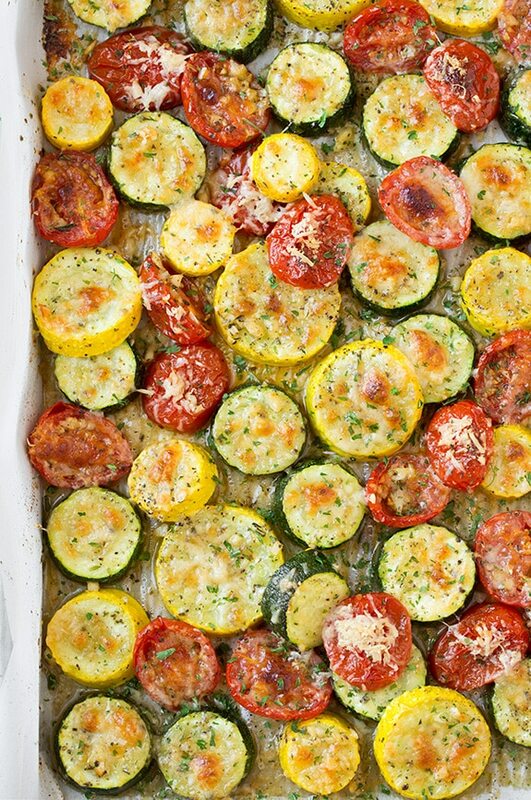 Take this roasted garlic-parmesan zucchini, squash, and tomatoes to know what I mean. You can even try it on squash alone for a super easy yet tasty squash dish recipe. 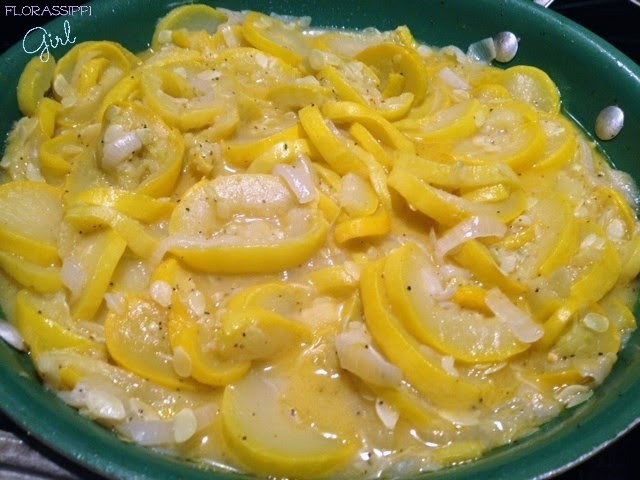 If you’re looking for the perfect sauce that best complements your roasted summer squash, you’re in luck! 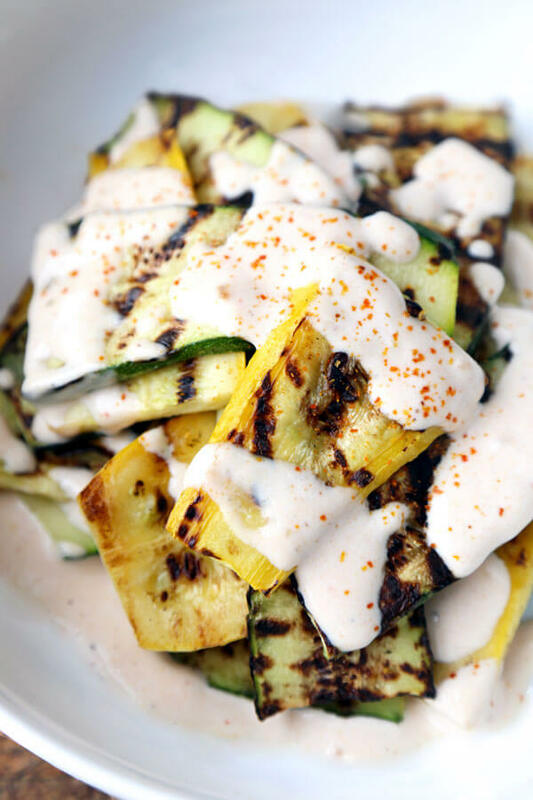 This simple recipe will surely bring out the best of summer squash and you’ll love how the smoky flavor blends excellently with the smooth and spicy yum yum sauce. Why stick to one squash soup recipe when you can get more? Take note, these butternut squash soup recipes are all hearty with the rich earthy flavor of butternut squash. They’re absolutely perfect to keep you all warm and happy these cold winter days! Not only is squash easy to grow, it’s also a great source of healthy carb with a considerable amount of vitamins and minerals. If you want to go paleo, squash should be a perfect source for unprocessed carbs. Don’t just take my word for it, but try these squash recipes and you’ll look at this humble veggie very positively from now on! What do you think of this list of squash recipes? Which one is your favorite? Let us know in the comments section below.